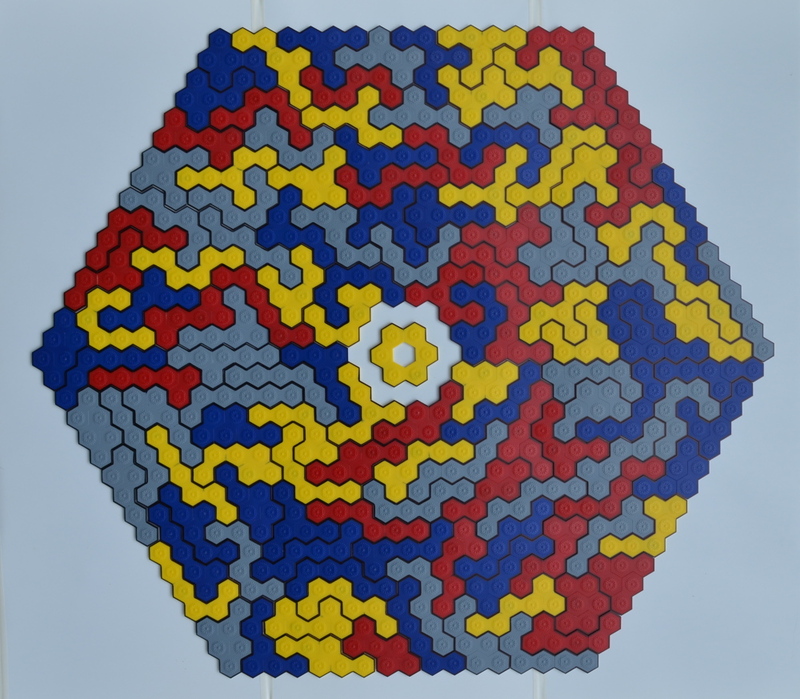 Tridihexes are hexahexes, which can be divided into three dihexes, which are two connected hexagons. 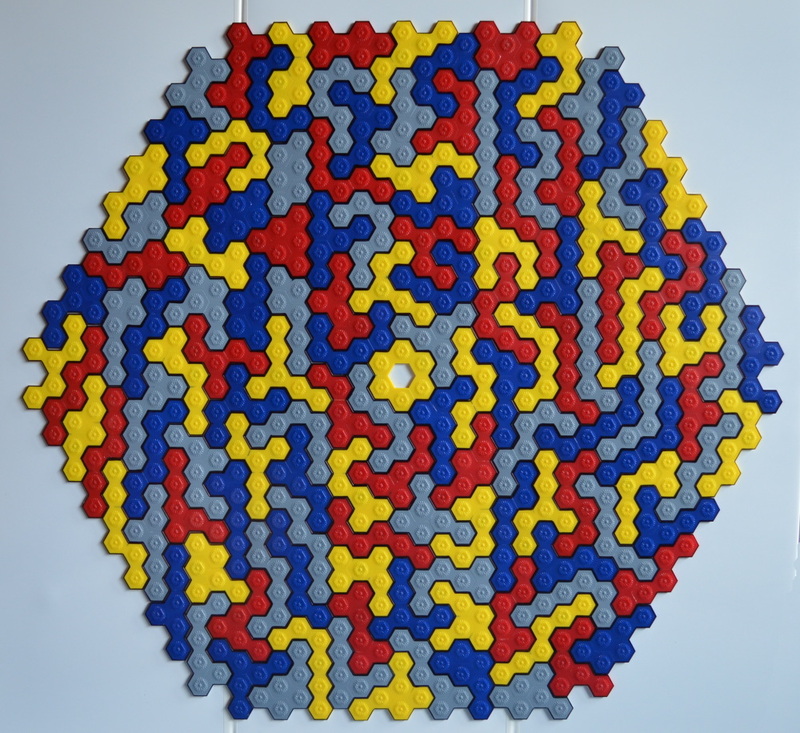 There are 134 one-sided pieces and it's possible to construct many symmetric figures with them. 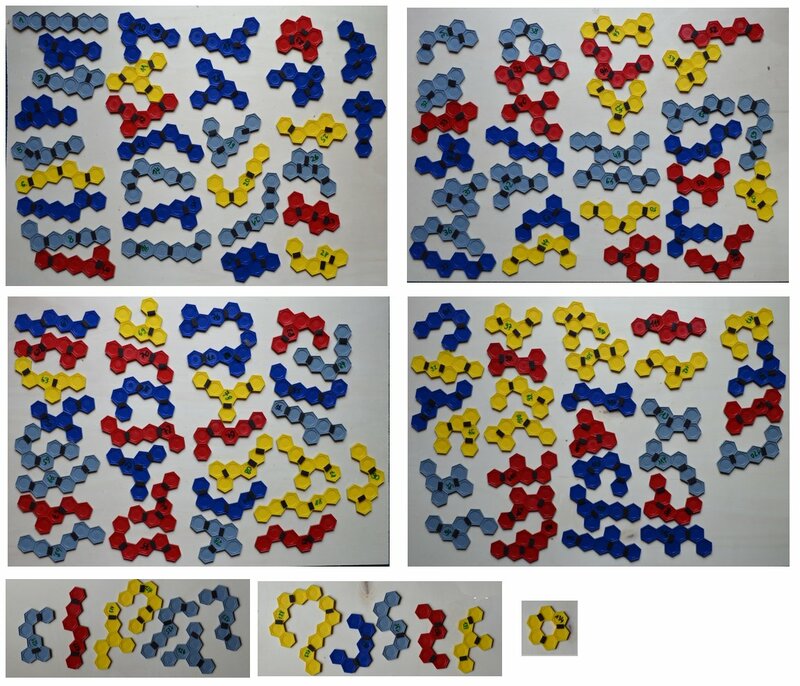 I saw an offer to buy a lot of dihexes and glued all pieces. With magnetic tape at the back I could display the constructions on iron boards. 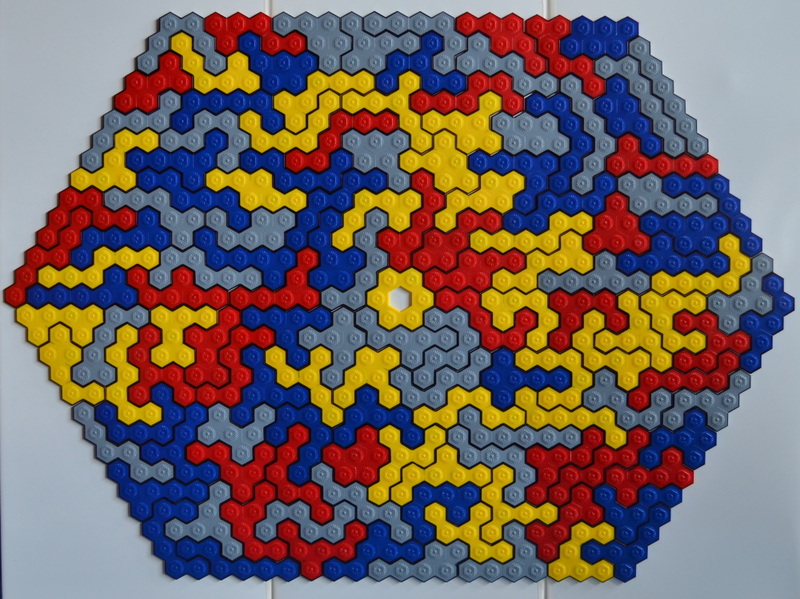 A jagged hexagon symmetric under 60 degree rotation is shown. To ease the constructions I wrote numbers on the back of the pieces, because this way a special piece in the computer solution is spotted very fast. 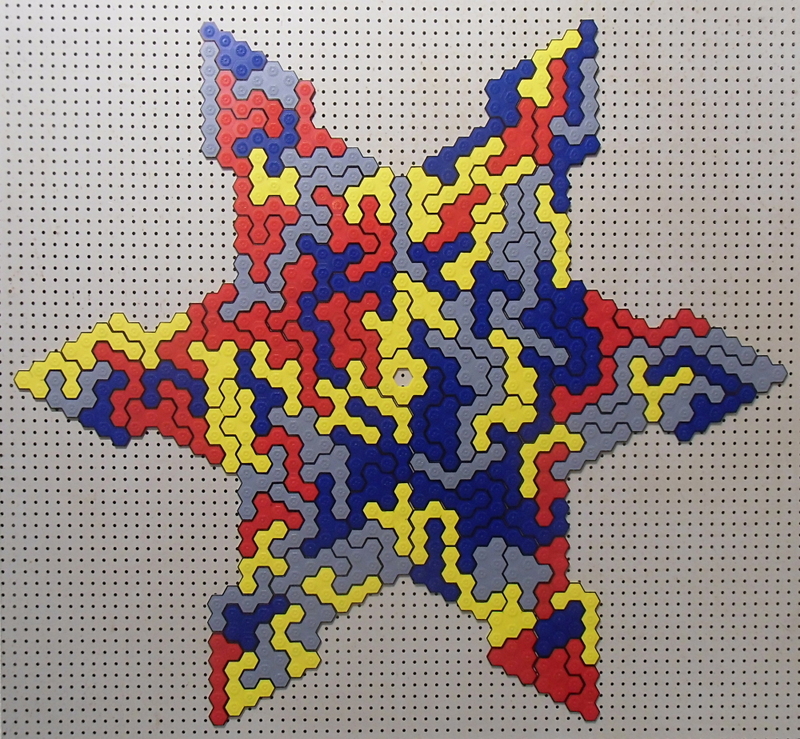 The snowflake is another example for figures symmetric under 60 degree rotation. One piece is a small hexagonal ring. 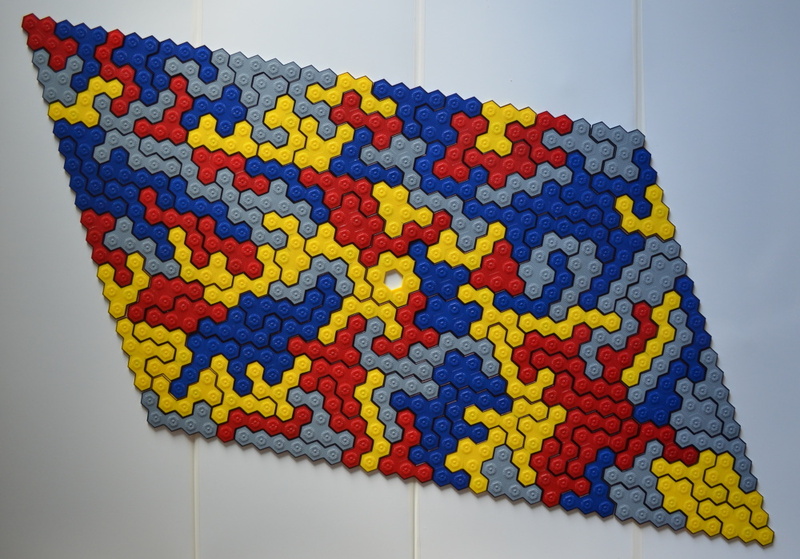 This can be surrounded by a larger one using the remaining pieces. 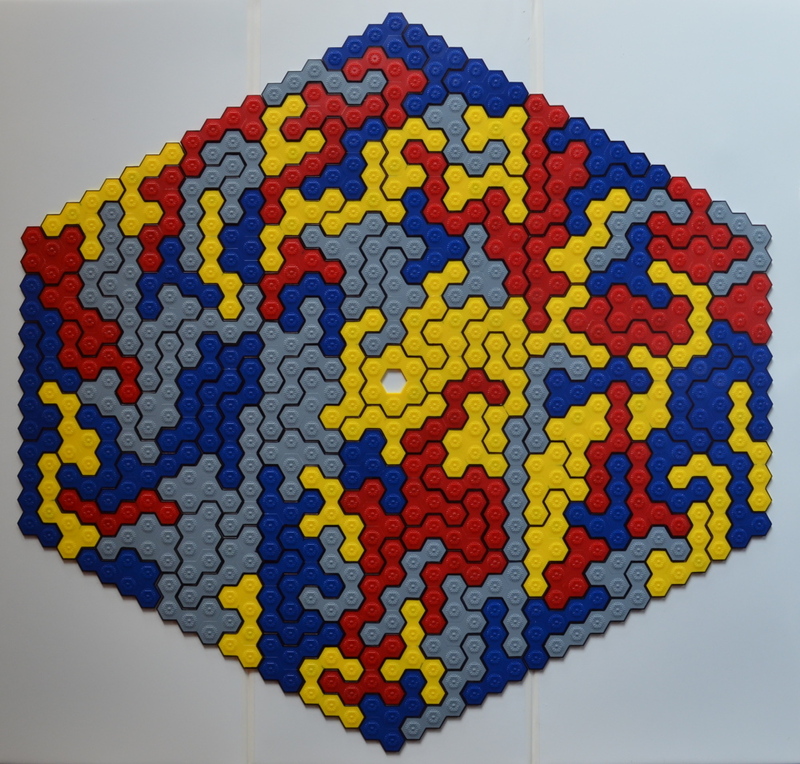 We can also make a kind of parallelogram symmetric under 180 degree rotation. 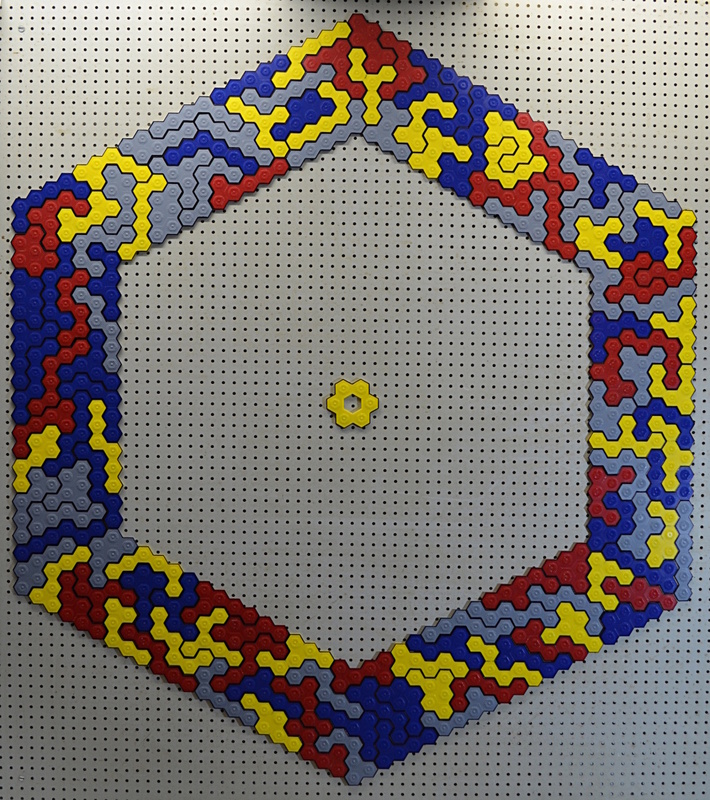 Here are semiregular hexagons with two axes of mirror symmetry. 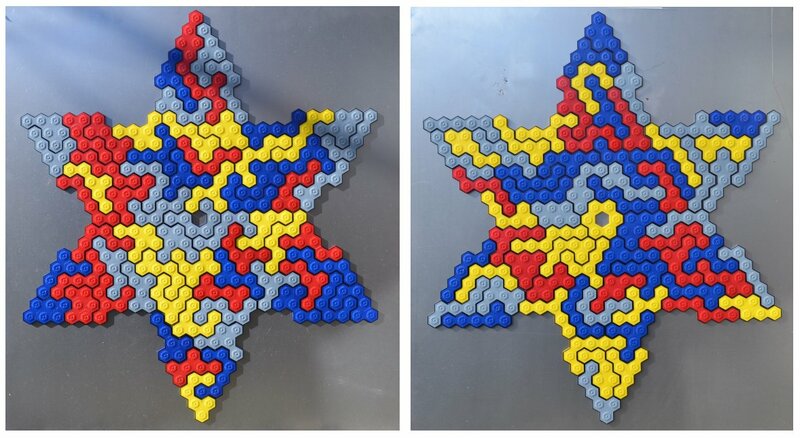 Furthermore I made pairs of congruent figures. The two snowflakes are symmetric under 60 degree rotation. The truncated triangles are symmetric under 120 degree rotation. We can also get two parallelograms symmetric under 180 degree rotation. The two jagged rectangles have two axes of mirror symmetry.